If asked to draw up a list of Ukraine’s most supportive international allies, most observers would begin by trying to rank the likes of America, Canada, the European Union, the IMF, and NATO. However, a strong case could also be made for the inclusion of UEFA on the list. 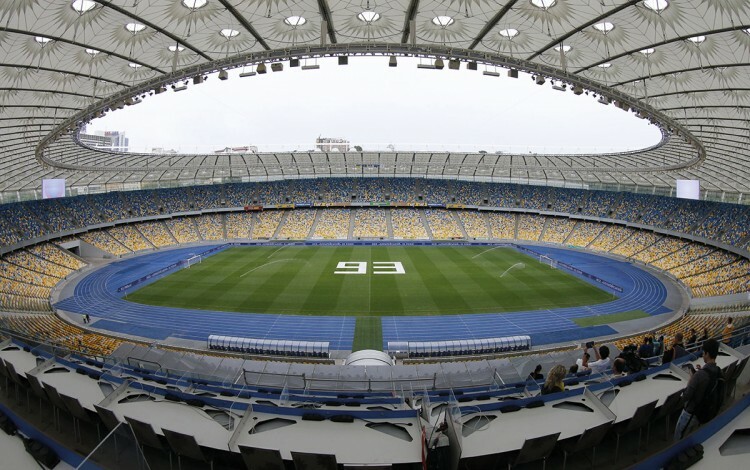 In mid-September, European football’s governing body announced the decision to award the 2018 Champions League final to Kyiv’s Olympic Stadium. Hosting the Champions League final would be an honour at any time. Coming as it does with Ukraine engaged in a hybrid war against Russia and desperately trying to convince the outside world that the country is safe for business and tourism, the decision is little short of a godsend. 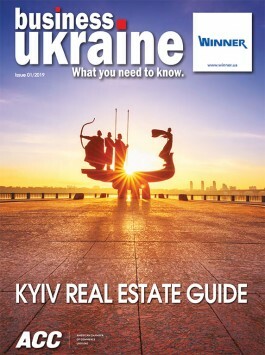 By selecting Kyiv, UEFA has sent out a clear and unambiguous message that the Ukrainian capital poses no security risk and is both ready and capable of hosting the showcase event of the annual club football calendar. The Champions League final attracts tens of thousands of fans, as well as a glittering array of international VIPs and footballing aristocracy. Hundreds of millions of viewers tune in around the globe. Understandably, the host city must meet a demanding set of criteria, with each city’s bid subjected to considerable scrutiny. The fact that UEFA has given Kyiv its stamp of approval is hugely significant. Such an authoritative voice should serve to convince event organizers throughout the international business and entertainment industries that Kyiv is safe. This is crucial at a time when Ukrainians are regularly encountering difficulties inviting guests to their capital city due to the negative perceptions generated by television and online news coverage of the Russian hybrid war in east Ukraine and Crimea. Images of Russian occupation forces, tank and artillery battles, military casualties, and devastated landscapes have served to convince many outside observers the whole of Ukraine is a war zone. As a result, numerous international events ranging from pop concerts and sports tournaments to business forums and academic conferences have been cancelled over the past two-and-a-half years. These exaggerated security concerns are understandable, but they create a major image problem for Ukraine as the country seeks to get its economy back on track. UEFA’s vote of confidence is a welcome signal for others to follow. This is not the first time UEFA has demonstrated its faith in Ukraine. Back in 2007, UEFA chiefs awarded Ukraine the right to co-host Euro 2012 together with Poland. That decision was also timely. By early 2007, Ukraine’s 2004 Orange Revolution had run out of steam and the country was heading into a period of prolonged political turbulence. On the sunny spring day when UEFA announced Ukraine as co-hosts of Euro 2012, thousands of protesters had been bussed into Kyiv from east Ukraine to rally against President Yushchenko’s attempts to disband parliament and call snap a snap election. They faced off against opposing crowds eager to uphold the principles of the Orange Revolution and maintain the country’s pro-European course. The tense mood temporarily dissipated following news of UEFA’s decision, leading to spontaneous celebrations that briefly united activists on both sides of the political barricades. UEFA’s bold gamble on post-Orange Revolution Ukraine paid off. Euro 2012 was widely hailed as a successful tournament and a major triumph for Ukraine, allowing the country to show off its charms to global TV audiences while welcoming over one million visiting fans. The traumatic events of Euromaidan, Crimea, and the Donbas have since served to sully the positive image created by Euro 2012, but the championship remains Ukraine’s most single biggest success in the international spotlight. Hosting the 2018 Champions League final is not on the same scale as Euro 2012, but it is sufficiently high profile to register with global audiences. Along with Eurovision 2017, which will also take place in Kyiv, it will provide Ukrainians with the chance to put on a show for the outside world. UEFA has given Ukraine a golden opportunity to demonstrate its appeal on the biggest imaginable stage. It is vital that the Ukrainian authorities now make the most of it.